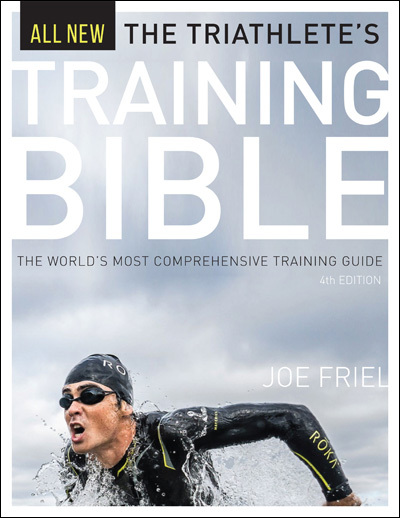 I was recently asked about "crash" training, which I wrote about in my Training Bibles. I've written about this before, but not in much detail. So perhaps it's time to go back to what I've said in my books on this topic. In the world of sports, it is quite common that athletes and coaches discover something that obviously works followed by science attempting to explain why. For example, such breakthroughs as aero’ handlebars, the Fosbury Flop high jump method, clap skates in ice skating, and the skate technique in cross country skiing all came from athletes and coaches—not scientists. It wasn’t until sometime after each of these discoveries that science quantified the benefits and explained why they work. So it is with producing peak performances in endurance sports. For decades road cyclists have used multi-day stage races to springboard performance to higher levels. The lore of cycling is filled with stories of dramatic gains in fitness following several days of back-to-back racing and an extended active recovery period. Several studies have shown that when several stressful workouts are spaced closely for several days with inadequate rest and followed by a long rejuvenation period that overcompensation is enhanced—as in a stage race. This is known as “supercompensation.” This risky flirtation with overtraining is also sometimes called "crashing"—a descriptive, if somewhat ominous name. Two studies in the early 1990s explored supercompensation. In 1992 a group of seven Dutch cyclists increased their training volume from a normal 12.5 hours per week to 17.5 hours for each of two weeks. They also boosted their intense training from 24 to 63 percent of total training time during that period. At the end of two weeks there was a significant decrease in all aspects of their fitness—they were on the edge of overtraining. But after two weeks of recovery, the riders experienced a 6-percent increase in power, their time trials improved by an average of 4 percent, and they produced less acidity at top speed compared with pre-crash levels. Not bad for two weeks of hard training. Another study in Dallas put runners through a two-week crash cycle with similar results, but there was also an increase in aerobic capacities. Again, it took two weeks of active recovery following the crash cycle to realize the gains. Other research on this topic suggests an increase in blood volume, greater levels of hormones that produce muscle growth, and an improved ability to metabolize fat resulting from a long-term crash-recovery period. These and other studies reveal three guidelines about crashing. Guideline #1: It takes about three weeks to produce overtraining in young, well-trained athletes, so crash cycles must not go that long, and should probably be far shorter—especially for older athletes. In a study of young, elite rowers preparing for the World Championship, three hours of daily training for three weeks were necessary to produce overtraining. If you’ve never trained this way before then it’s best to start by doing no more than three or four consecutive days of crash training to see how your body responds. Guideline #2: Large volume increases are not as effective at producing supercompensation as dramatic increases in intensity. Researchers doubled the weekly mileage of a group of well-trained runners for three weeks, and at another time, doubled the number of miles that they ran at high intensity for three weeks. Following the high-volume phase, endurance and running performance plateaued, but it improved following the increased-intensity period. Guideline #3: It takes a half to a full day of active recovery for every day spent crashing. Short crash cycles of, for example, four to seven days are best followed by an equal number of easy-workout, recovery days. Longer crash cycles, in the neighborhood of 14 to 21 days, which are quite risky and probably best avoided by nearly all athletes, may be matched with fewer recovery days, about one-half day for every day of crashing. Be careful with crash training. The risk of overtraining rises dramatically during such a build-up. That could ruin your season and perhaps even your career. It’s important that your fitness base (especially aerobic endurance and muscular endurance) is well established before starting such a difficult training period. If signs of overtraining appear—such as a greatly changed resting heart rate, muscle or joint soreness, feelings of depression, inability to sustain fast efforts or extreme fatigue—cut back on the workload immediately and take a rest day. It is probably best not to attempt a crash cycle more frequently than once for each racing peak in the season. And that is probably best done in the Build period leaving at least 3 weeks remaining until the race. Costill DL, et al. 1988. Effects of repeated days of intensified training on muscle glycogen and swimming performance. Medicine and Science in Sports and Exercise 20: 249-254. Jeukendrup AE, et al. 1992. Physiological changes in male competitive cyclists after two weeks of intensified training. International Journal of Sports Medicine 13 (7): 534-541. Kirwan JP, et al. 1988. Physiological responses to successive days of intense training in competitive swimmers. Medicine and Science in Sports and Exercise 20: 255-259. Lehmann MJ, et al. 1992. Training-overtraining: Influence of a defined increase in training volume vs. training intensity on performance, catecholomines and some metabolic parameters in experienced middle- and long-distance runners. European Journal of Applied Physiology 64 (2): 169-177. Lehmann MJ, et al. 1997. Training and overtraining: An overview and experimental results in endurance sports. Journal of Sports Medicine and Physical Fitness 37 (1): 7-17. Steinacker JM, et al. 1998. Training in rowers before world championships. Medicine and Science in Sports and Exercise 30 (7): 1158-1163. 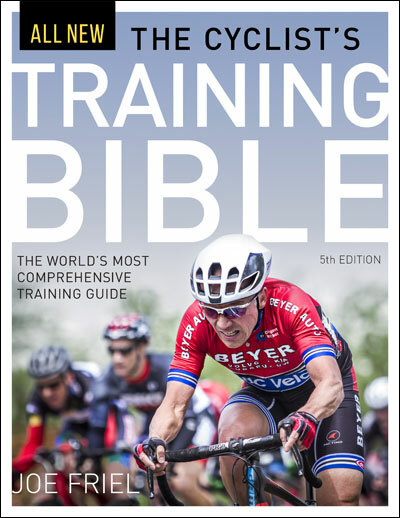 Thanks for expanding upon what you've written in "The Bible" in your stage race training section. For those of us who want to try "crashing" for maximizing a peak during the season rather than for a stage race, would you suggest following a training schedule similar to what you've detailed in your book, i.e. 2 weeks of workouts in Build1, followed by 2 weeks of workouts in Build2? I've been doing the suggested 3 week ON/ 1 week OFF for all of my training periods. I gather from what you've written that you recommend a 2 week crash cycle and that for a standard training schedule that this should be done in Build. Would you advise switching to a 2 week ON/ 1 week OFF Build1 & 2 crash cycle like that in your stage race program, or following a standard 3 week Build1, followed by a 2 week Build 2 crash cycle or 1 week standard Build2 followed by a 2 week Build2 crash cycle? Perhaps some other variation? Cris--Your question is rather complex. Not sure I fully grasp it all. Let me just say first of all that the length of the crash period should be short. The first time it's tried it may only be 4 days. It's risky. You'll learn a lot doing it this first time. Use what you learned to lengthen it the next time if that seems appropriate given what you've learned. I'd suggest no more than 1 of these crashes per A-race prep. As for when to do it, I'd suggest in Build 2 leaving at least 3 weeks until the race. I hope that answered your question. While I'll avoid crash training for a long time in my own race preparations, are there adjustments in nutrition beyond what one might make if simply doing late Build intervals (I am thinking of EPOC). Does the proportion of energy tilt more towards protein or carbohydrates in such a setting? Madeleine--There would certainly be an increase in total calories and most of that would come from carb. Two questions - first, is there a simple method to determine if your muscular endurance fitness is good? I'm familiar with looking at power/heartrate decoupling to look at aerobic fitness and wonder if there is a measure I can use to assess ME. Second, I will be on vacation for 10 days late in March without much opportunity to train. Is it plausible to use crash training immediately prior to the 10 days off in order to try to supercompensate and maintain fitness during the break? Linda--One way to measure ME is to compare output with input about every 4 weeks. For example, warm-up in a standard way (_everything_ must be standardized for this to work--WU, equipment, food, sleep, etc) and then ride (or run) for 20 minutes precisely at FTP. At conclusion divide average power (or speed for run) by average heart rate. Your ME is improving if the quotient is increasing. As for crashing before an extended time away from training, I think that's a great idea. Building as much fitness and fatigue as you can manage before a period of down time allows you to use that time for recovery. You may consider doing something similar (probably not an extended crash tho) on your return to training. What kind of hours should the, daily, training be, in a crash training period? For instance, if I train, on average, 8-10 hours a week how much more of an increase in time? Or would I just increase my time at intensity, and schedule fewer recovery days? Would it depend on the length of the crash cycle? What if I train less or more then my example of 8-10 hours, is there a PERCENTAGE of increase or decrease in daily hours during a crash cycle? Thanks! Thanks Joe for augmenting this topic from the book. I am currently planning my Build cycles which are a few weeks off and as my A race is a 3-day stage race, I am considering using Build 2 as a crash cycle. I am wondering when, all things being equal, one might choose the shorter crash over the traditional 4 week cycle, assuming endurance is not a limiter? In other words, if my goal is simply to increase the pure speed of my climbing and TT, would I better off to adopt the crash or stick with the traditional 4-week cycle, alternating hard/easy days? On an unrelated note, because I don't have twitter. I read looked at your workout on 2/22/11 that you tweeted. What is ZQ, in your summary of the ride? You mentioned you had a ZQ of 112, and that might have been the reason yor power and heart rate were up. Nathan--I've been toying around with a Zeo, sleep monitoring device. ZQ is the Zeo's measure of the quantity and quality of sleep. I'll write about this once I know more about it. Glenn-From a road cyclist's perspective, if you are not training for a stage race then the benefit of crashing will not be as effective. It suspect it may be better at improving your aerobic and muscular endurance as opposed to anaerobic endurance. So depends on your limiters. Nathan--This is one of those "it depends" questions. Hard to answer when I know nothing about the athlete. Even when I coach someone such decisions are difficult. But I'll take a stab... Volume should increase some, perhaps 50% top end. Increasing intensity is the real key. More frequent high intensity (relative to your event) workouts and less frequent recovery days. Always bear in mind that you are doing high-risk training. Be prepared to back off. I have a triathlon on the 17th of October and thought about doing a crash training/cycling holidays 2 weeks prior the race. This would be 100km/day (average) riding across Mont Blanc in France. Would that be reasonable to go for such a holiday just 2 weeks before the race? I am a recovering athlete attempting to get myself back on track with my own little 5 years fitness plan. I recently suffered a torn UCL of the elbow and will receive surgery for it in the near future. In good time I would love to incorporate this crash training or "supercompensation cycling" into my workouts. My question pertains to athletes that have a split workout plan. When I was able, I had a structured schedule of 4 days of intense lifting and 3 days of intense cardio. Would it be generally acceptable to use the crash training with the same basic schedule, or should I focus on one as not to be detrimental to the other? Ken--Good question. I don't know as I've never tried it with that format. Good luck. Joe, I've been following your training for stage races. 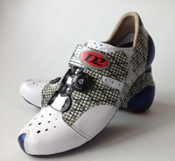 These seem to be built for 3-4 day races. I'm now planning a 7 day race and was thinking on doing a 14 day training followed by 7 very easy days... reapeat after 1 month and rest 2 weeks before the race (active recov). I've beed doing a good base period (base 3 of 18 hrs in 3rd week). Would you recommend this or is it too risky? Should I just reduce to 10 days to start with an check if I can handle? Roberto--14 days is a lot if you plan to crash train that entire time. Pretty risky. I'd suggest shorter until you see how it goes.